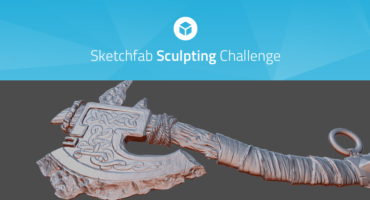 Sketchfab Community Blog - Minecraft Mysteries - The Winners! Minecraft Mysteries - The Winners! The mystery has been solved! The mystery of the winners, that is. We received a handful of enigmas but these really made us stop and think. We have all of the contest participants to thank, our judges, Eric Haines, Creator of the Mineways plugin, LordblockMC, a team of passionate Minecraft builders, and Overlaps, a 3D game environment artist at InQuake Softworks whose talents also include Minecraft environment building. And plus one more unique addition– Wizard Keen, a Minecraft YouTuber who was quite excited to explore these virtual riddle (VR) scenes in his video entitled 101 Ideas Minecraft Learners with Wizard Keen. Without further ado, we uncover… the Minecraft Mysteries. Huntsmouse wins an Oculus Rift Virtual Reality Headset, $150 worth of Minecraft Swag, A Year of Sketchfab Pro, a Sketchfab Hoodie and 3 Sketchfab Cardboard VR Viewers! Skywalker takes home an XBOX One S Minecraft Bundle, $100 worth of Minecraft Swag, Six months of Sketchfab Pro, 2 Sketchfab Cardboard VR Viewers and a Sketchfab T-Shirt! MarceauNakayama receives a Design Lab XBOX One Controller, $60 worth of Minecraft Swag, Six months of Sketchfab Pro, a Sketchfab Cardboard VR Viewer and a Sketchfab T-Shirt! If this contest inspired you, Mineways is one of the easy exporters that will transfer your work from Minecraft to Sketchfab in one easy click. Having issues or just want feedback? Feel free to start a thread in our Minecraft forum! The imagination displayed here is great! Congratulations to all the winners on making excellent models.